Republican Congressman Steve King took to the floor of the U.S. House today to respond to a New York Times story in which he’s quoted talking about the terms white nationalist, white supremacy and western civilization. King, a Republican from the western Iowa community of Kiron, said he is an “American nationalist” and rejects the ideology of white supremacy and white nationalism. King, a former state senator, was first elected to the U.S. House in 2002. King said today that he “made a freshman mistake” in talking to the New York Times. 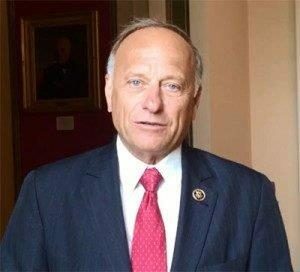 “Under any fair political definition, I am simply an American nationalist,” King said during his House floor speech. The newspaper quoted King asking rhetorically why the terms white nationalism, white supremacy and western civilization had developed negative connotations. King said he is an advocate for the values of western civilization. The top three Republican in the U.S. House have denounced King in the past 24 hours. Republican Tim Scott, an African American who represents South Carolina in the U.S Senate, said in The Washington Post that “silence is no longer acceptable” when it comes to the things King says. Former Florida Governor Jeb Bush is urging Republicans to “actively support” King’s primary opponent, Republican State Senator Randy Feenstra. Iowa GOP chairman Jeff Kaufmann has called Feenstra a “legitimate” challenger, but Kaufmann said the party will be neutral in the race. Kaufmann said he wants to make it clear there are some phrases that do not represent “the American spirit” and Kaufmann puts “white supremacy” in that category. Iowa Democratic Party chairman Troy Price has repeatedly called King an embarrassment to the state of Iowa.